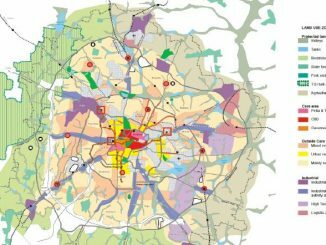 The BDA’s intentions of implementing its own plans for Bangalore, overriding the BMRDA and ignoring expert committee recommendations and public sentiment, ran afoul of alert citizens. On 29 June, Bangalore hosted its the first ever annual march to create awareness about the rights of sexual minorities. In a report submitted to the High Court, Karnataka’s highest ranking forest official Dr P J Dilip Kumar has severely criticised the state’s approach to commercialise Bangalore’s lakes. In their campaigning in Bangalore, BJP candidates stated their clear intent to resolve the vexing property tax issue. Citizens can now hold them to account. A city-wide initiative to safely discard used batteries and CDs has been quietly taking shape at apartments, schools and offices. The litigation filed by CMH Road’s traders is a legal test for whether the land acquisition law is being used or abused. The next hearing is on 4 June. NGOs and corporate foundations in the city have adopted government schools to help improve their quality of education. Children at these schools are benefiting. A green belt in the prime area of Koramangala was set aside in the 90s through litigation which citizens helped the government win. Today, that protection is under threat.